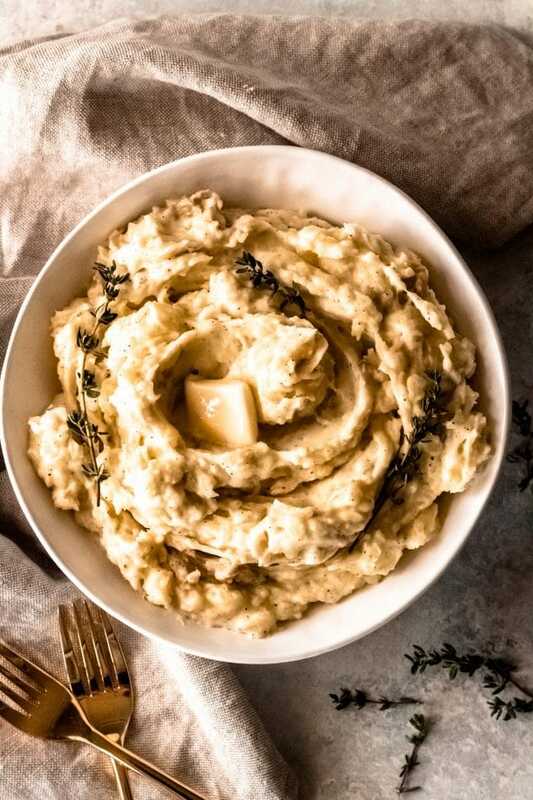 Creamy Yukon gold potatoes with fresh parmesan cheese and velvety cream make these mashed parmesan potatoes the perfect simple yet elegant side dish for your dinner table. 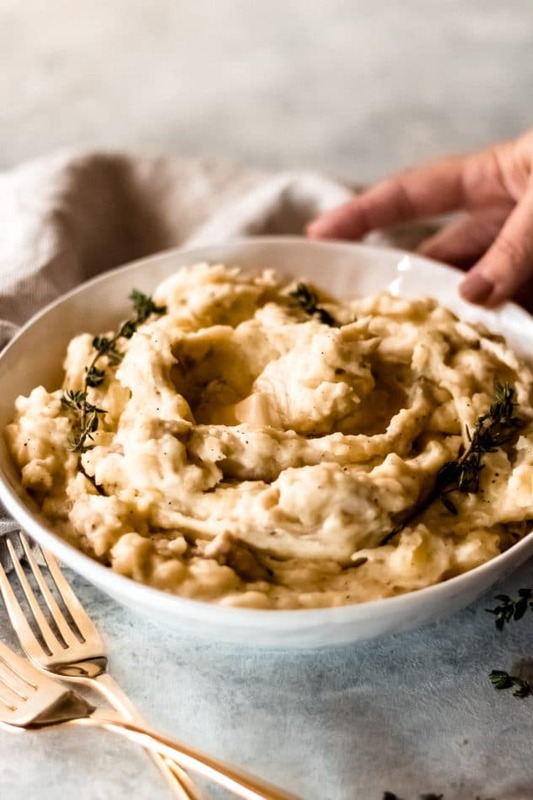 If you want to elevate your mashed potato game, then these mashed parmesan potatoes are definitely for you. They are seriously so full of flavor you won’t even need gravy (did I just say that?!?) These are perfect for the holiday dinner season or enjoy them year-round, they’re that versatile. I love rustic mashed potatoes. 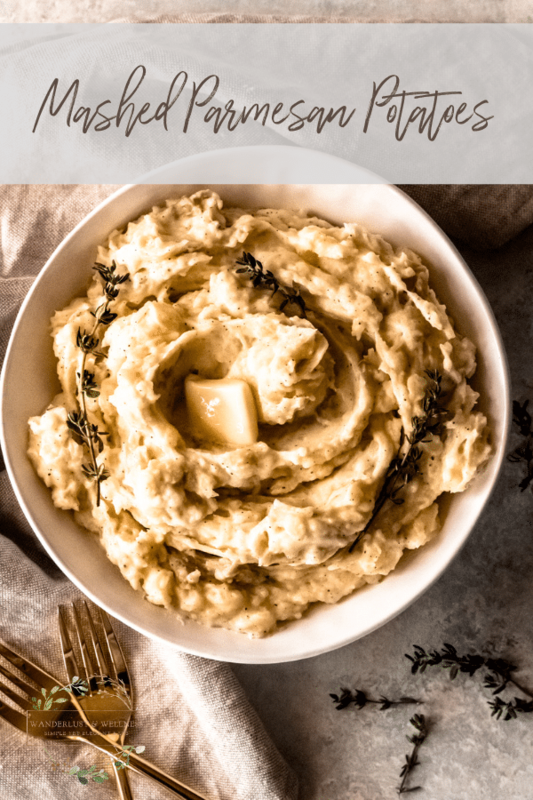 And when I say rustic, I’m referring to mashed potatoes that include the skin and are hand-mashed, leaving a chunkier version. Some prefer smooth mashed potatoes, I personally like me some chunky mashed potatoes. 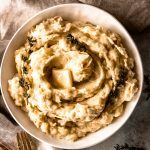 The Yukon gold potatoes are great for mashed rustic mashed potatoes because they’re creamy and the skin is much lighter compared to red or russet potatoes. In addition to the Yukon gold potatoes, you’ll add in fresh parmesan cheese, butter, heavy cream, and a hint of fresh thyme. Seriously, so rich and delicious. These mashed parmesan potatoes are the definition of an elevated classic. 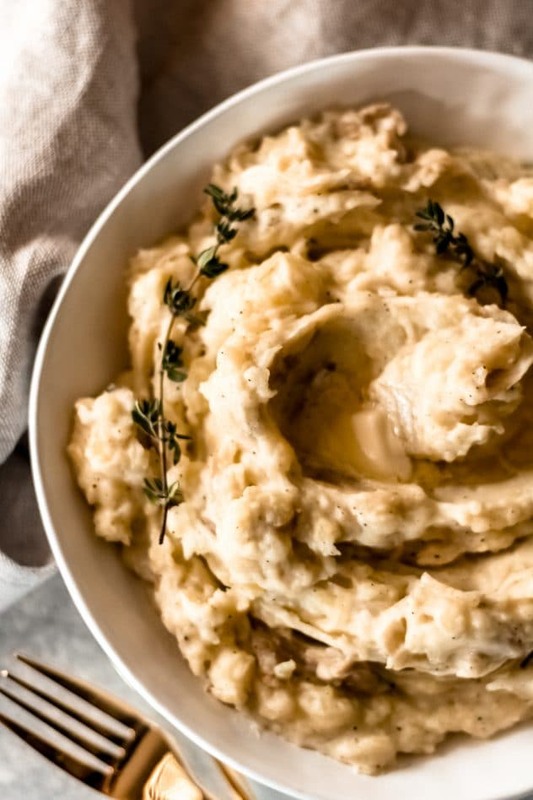 Creamy Yukon gold potatoes, fresh parmesan cheese, and velvety cream combine together to make the best mashed parmesan potatoes you’ll ever eat. The perfect simple yet elegant side dish for your dinner table. Boil potatoes either whole or you can cut them in half, leaving the skin intact, until soft. Add in butter, salt, and pepper and begin to mash using an old-fashioned hand masher. Once most of the potatoes are mashed, begin to add the heavy cream and continue mashing until you get the consistency you desire. Fold in the fresh parmesan cheese and thyme. Add additional salt and pepper to taste, if needed.